Ten years ago, billions of humans had their worldview upended when a group of astronomers announced that the solar system only contains eight planets. Now, the same guys are trying to rewrite our childhood mnemonics once again. A ninth planet may exist after all, and it isn't Pluto. In January, Caltech's Konstantin Batygin and Mike Brown (the astronomer credited with killing Pluto) shared compelling evidence of a planet larger than Earth and over five hundred times further from the Sun. Planet nine hasn't been spotted — its existence is inferred by the improbable orbits of a handful of distant, icy objects. A race is on to find the mysterious world, and help is coming from all corners of the astronomical community. "I've never seen anything like this happen before," Brown told Gizmodo. "People look at the evidence and they are convinced. It almost makes me worried." Planet nine's overwhelmingly positive reception is indeed rather odd. This isn't the first time astronomers have speculated about a distant world sitting in or beyond the icy ring of primordial rocks known as the Kuiper belt. They have been doing so for decades. As Brown puts it, "Anytime anything funny happens in the outer solar system, somebody will jump up and down and say planet." But in every prior instance when astronomers have cried planet, the case has unravelled upon further analysis. 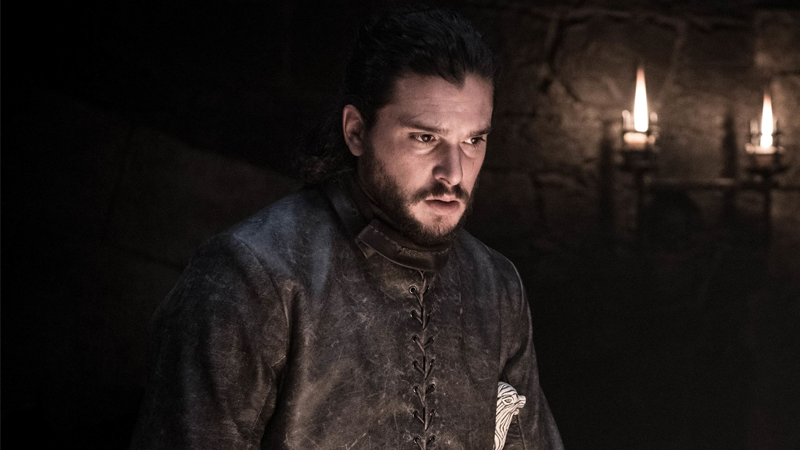 This time, the evidence has only grown stronger. 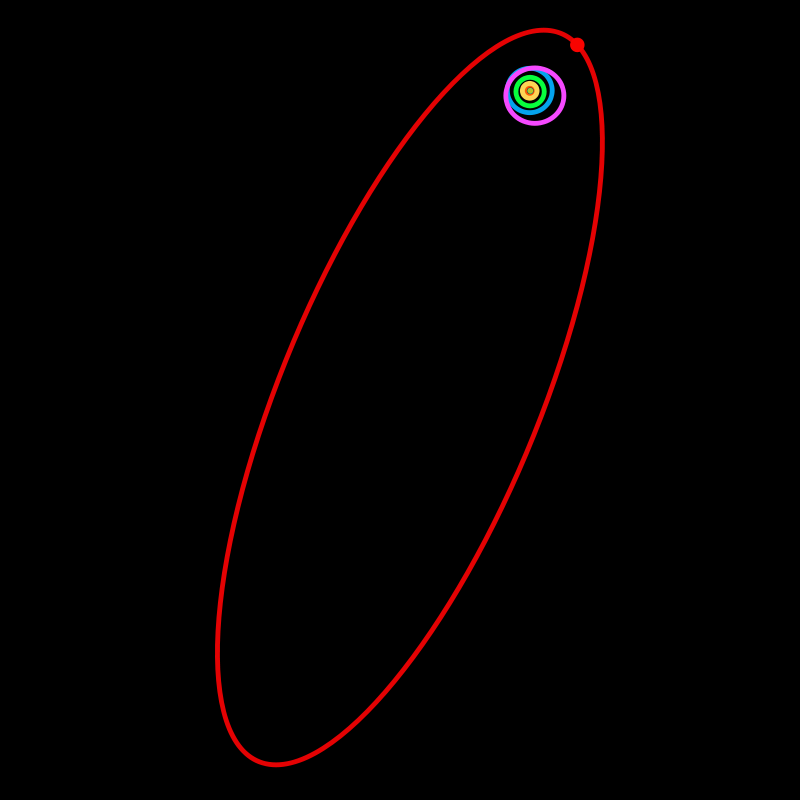 The first hint came in 2003, when Brown spotted a 966km-wide object circling the Sun on a highly elliptical path, far beyond the outer limit of the Kuiper belt. Then in 2014, astronomers Chad Trujillo and Scott Sheppard announced the discovery of another distant object on a Sedna-like orbit, followed by a set of six Kuiper belt objects that share a bizarre orbital feature. Each of these icy rocks traces an elliptical path that loops out in the exact same part of the solar system. What's more, all of their orbits are all tilted the same direction, pointing about 30 degrees down relative to the ecliptic plane (the plane in which planets orbit the Sun). That's when Batygin, a theoretician, and Brown, an observer, decided to put their heads together. "Our initial goal was to demonstrate that this was not a planet — that it's some other dynamical effect," Batygin said. And yet, after two years of calculations and supercomputer simulations, a planet is what they found in the maths. It turns out Sedna, all six Kuiper belt objects, and a handful of other weird rocks that orbit perpendicular to the plane of our solar system, can all be explained by a distant planet roughly ten times the mass of the Earth. "What we're really predicting here is not just the existence of a planet, but a physical process through which the shape of the outer solar system is explained," Batygin said. According to Batygin and Brown's calculations, Planet nine sits in an elongated, "anti-aligned" orbit — its point of closest approach to the Sun is directly opposite that of all other planets. It takes the frigid world 10 to 20 thousand years to complete a full orbit, and at its furthest point, it's roughly 1200 Earth distances (a 160 billion kilometres) away. In January, Batygin and Brown published their findings in the Astrophysical Journal. The announcement that a ninth planet may exist after all was not only embraced by the millions of laypersons who could finally fill the dark, Pluto-shaped holes in their hearts, but also by the scientific community. Folks with expertise ranging from the Big Bang to Saturn's rings started asking whether a phantom planet may be lurking in their data. At this point, if astronomers are correct about Planet nine, it's only a matter of time before we find it. The obvious way to prove the existence of a planet is to actually see the thing. 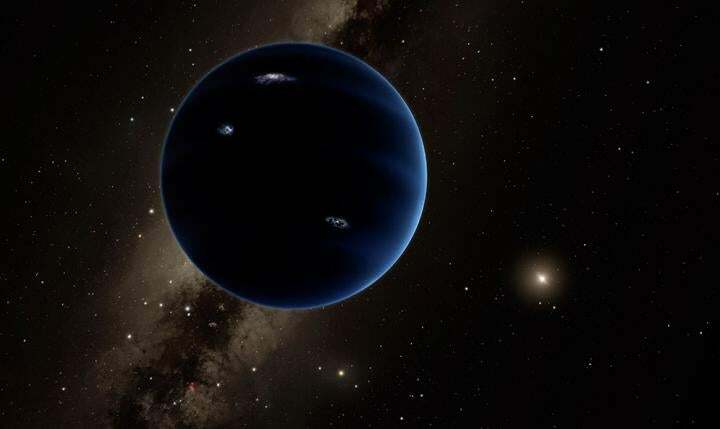 In Planet nine's case, that's going to be tricky, because objects thirty times further from the Sun than Neptune on a good day don't reflect a lot of light. But Brown, who's built a career around finding small, distant Kuiper belt objects, is optimistic that Planet nine can be spotted. "In principle, this is exactly the same thing we do to look for KBOs," Brown said. "You take a picture, go back, take another picture later, and see if something moved. If you told me exactly where Planet nine was, I could find it pretty easily." The trouble is, we don't know where Planet nine is, and its entire orbit is freakin' enormous. And while astronomers can bag hundreds of random Kuiper belt objects by simply pointing a telescope at the sky, finding a specific object way off in the cosmic boondocks is going to be tougher. "For KBOs, we're interested in a statistical sample," Brown said. "For Planet nine, we just want to find it. So we have to be very systematic about surveying the sky, and we can't leave any patch undone." The best instrument for this job — both in terms of sensitivity and wide field of view — is Subaru, an 8.2m optical-infrared telescope located on the dormant volcano of Mauna Kea, Hawaii. Batygin and Brown have already put in a request for time on the popular telescope this spring. 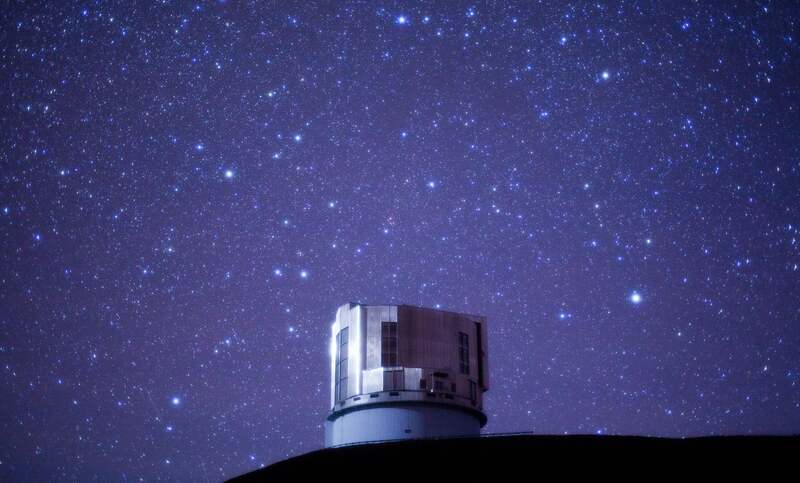 Meanwhile, several of their colleagues are bringing the southern hemisphere into the planet hunt, using a well-placed dark energy camera at an observatory in Chile. But you don't need to be good with a telescope to help find Planet nine. Agnès Fienga, a planetary dynamicist at the Nice Observatory in France, has an entirely different take on how we can locate the beast — NASA's Cassini probe. Since 2003, Fienga and her colleagues have used radio ranging data collected by the Cassini probe's navigational system to precisely track the motion of Saturn. By doing so, they have constructed detailed models of the movement of all planets and major asteroids in the solar system. When Batygin and Brown published an orbital trajectory for a ninth planet, Fienga realised that her models could help narrow the search. "It's not too complicated to add a supplementary planet and just test the theory," Fienga told Gizmodo. By sticking Planet nine in a solar system model calibrated with over ten years of Cassini data, Fienga and her colleagues have already ruled out half of the planet's possible positions in the sky. "This study is awesome," Batygin said, noting that the positions Fienga's team eliminated include perihelion — the planet's closest approach to the Sun. This independently confirms Batygin's view that the planet currently sits in a more distant orbit. Meanwhile, Nick Cowan of McGill University has thought of yet another way we can detect Planet nine — through its heat signature. Even an icebox of a planet like this one emits a small amount of energy at millimetre radio wavelengths. This turns out to be the same type of energy cosmologists use to study the birth of the universe. "I am not an expert on Planet nine at all, nor am I a cosmologist," Cowan, who studies the composition of exoplanet atmospheres, told Gizmodo. But when his colleague Gil Holder suggested that Planet nine's heat signature might be detectable with the instruments used to study the cosmic microwave background (CMB) — the ubiquitous energy signature left over from the Big Bang — Cowan's interest was piqued. "I did a calculation, and came up with a surface temperature of 20 to 40 Kelvin," Cowan said. That's insanely cold, and it means Planet nine radiates about 2000 times less heat than Uranus or Neptune. "I thought this crackpot idea would be over at this point," he said. When Cowan brought his calculations back to Holder, he learned he was mistaken. "Turns out, we use Uranus and Neptune to calibrate CMB [experiments] because they're really bright," he said. "2,000 times colder is totally doable." Cowan, Holder, and Nathan Kaib of the University of Oklahoma wrote up a paper on the idea, which is currently in review at The Astrophysical Journal. Cowan is hopeful that next-generation cosmology experiments will be able to detect Planet nine, or at least narrow the search. And if we're really lucky, that faint heat signature might already exist in somebody's CMB data. Batygin, for his part, continues to run model simulations. 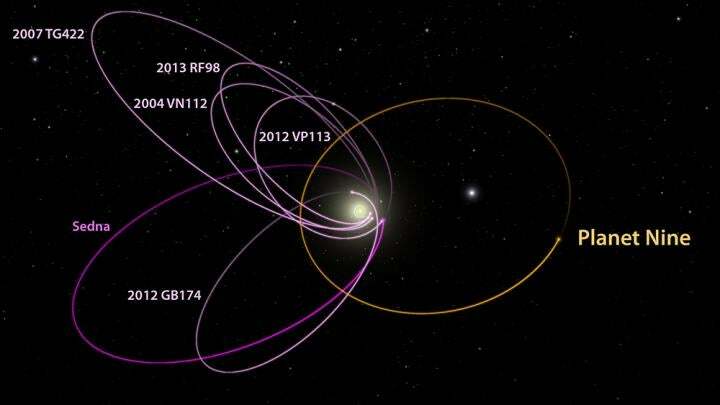 Several weeks back, those models got a big boost when Michele Bannister of the University of Victoria, Canada, revealed yet another Kuiper belt object on the same funky orbit as Planet nine's original flock of six. "Our biggest worry was that the next set of objects we discover are going to destroy the pattern — that our brains had somehow tricked us," Batygin said. "Instead, the first new object is exactly where our models say it should be. It basically falls on the mean." Although we should save the champagne for hard proof, most astronomers agree that the case for a large, unseen planet beyond the Kuiper belt has never looked better. "I am not one hundred per cent sure if there is a planet or not," Fienga said. "But I think in a year we should have almost a definite answer." And if we do discover a Planet nine? It will certainly expand our perspective on the solar system, just as discoveries of Kuiper belt objects did in the early 2000s. It will help us piece together our celestial history — how the planets formed, why they're all so different, and how they arrived in their present orbits. And it will shed light on the diversity of worlds we can expect to find orbiting other stars. "The most exciting thing about Planet nine to me is that it's uncharted territory," Cowan said. 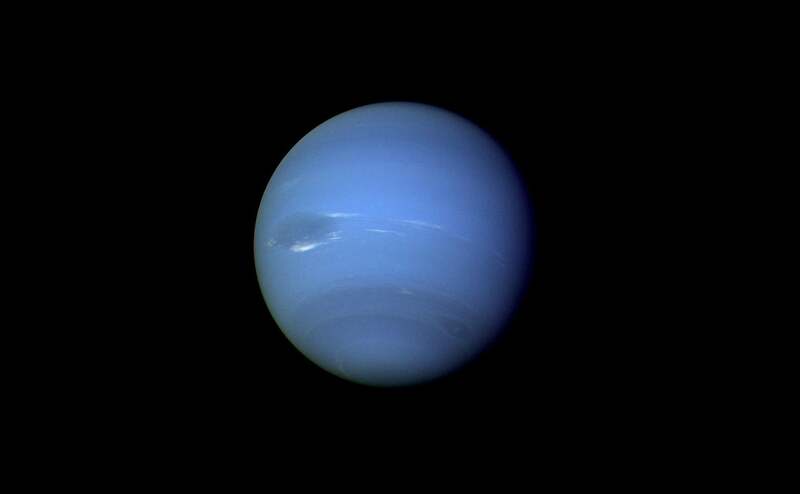 "You do the maths and realise, you could easily hide a planet out there, maybe more than one. Nature is amazingly good at making planets, and she puts them wherever the hell she wants." Batygin agrees. "I think the one thing we we can be certain of," he said, "is that the solar system hasn't run out of mysteries."